← A life sized rainbow unicorn cake? Yes Please! Y’all i have like, no interest in Richard Serra. which made mego i wonder what the most expensive hat on etsy looks like? Well here it is. It costs 10 k.
description: Crown of Peace hat is a original design, hand made by myself. Inspired by a white dove that I rescued. It’s a real white dove in the hat named Dolly. This hat is great for taking your bird for a walk. The roof can be adjusted by the cords at the corners of the roof. 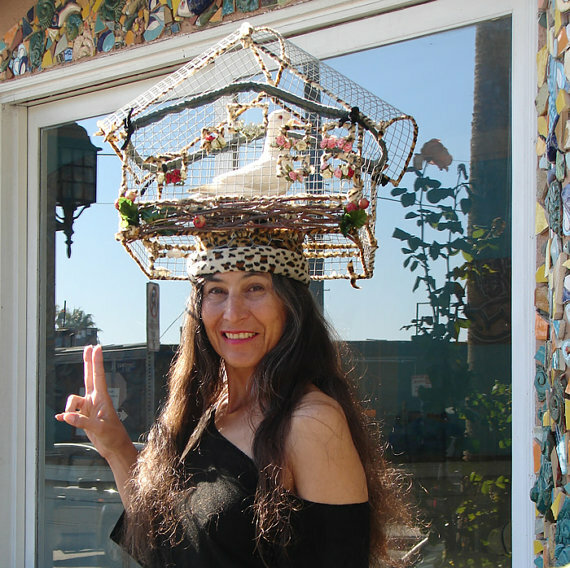 This hat is lots of fun for you and your bird. I need your head size by taking a tape measure and measuring 1/2″ above your eyebrows around your head. Don’t pull to tight or to loose.Record the magic measurment.